As we predicted here last week, the world number three Gary ‘The Flying Scotsman’ Anderson shipped the Champions League of Darts in Brighton on Sunday. Trouncing a much-improved Peter ‘Snakebite’ Wright in the final, Anderson won his third major TV event of the year having already claimed the UK Open and World Matchplay. Only moments earlier, Anderson eliminated last year’s victor Mensur Suljovic 11-4 in the semi-final and in the process avenged his 2017 final defeat in the same tourney. Anderson topped his group after surviving two missed match darts from Michael van Gerwen in the deciding leg of their last group match that would otherwise have sent him packing. Instead, he qualified with the Dutch superstar to go into the knockout stages of the competition at the expense of Daryl Gurney, who just missed out despite his 10-7 win over Dave Chisnall. This meant that Group A’s runner-up, MVG, lined up in the semi-final against Peter Wright, who came second to Mensur Suljovic’s in Group B. In the semi-final, Wright produced a brilliant effort to come from 8-5 down to see off MVG in an 9-11 victory, landing three 10-dart finishes on the way. This was a pleasing weekend for Wright, who has never made it out of the group stages in either of the previous two years of the event. 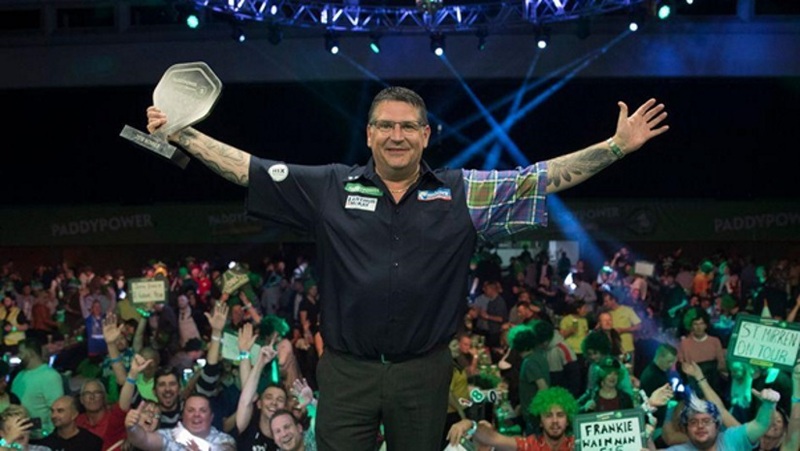 Gary Anderson, who has also won two World Championships and two Premier League crowns in his career, returned to the oche for the final where he was far too good for Wright. Banking a 140 checkout straight out of the gate, and breaking Snakebite’s throw three times, he soon raced into a commanding 6-1 lead. Wright fought hard to bring the game back to a 4-7 scoreline before Anderson reeled off the next four legs, closing out the game with three ten-darters and a 65% checkout to land his first ever Champions League title. The PDC’s third longest-running televised event, the World Grand Prix, is due to take place at the Citywest Hotel in Dublin from September 30 through October 6. The 32-player field has now been confirmed, and reigning champion Daryl Gurney will be there to defend his title. Alongside Superchin will be the world’s top 16 players plus the 16 qualifiers from the ProTour Order of Merit. The six main seeds are three-time winner Michael van Gerwen, Peter Wright, Rob Cross, Gary Anderson, Mensur Suljovic and Dave Chisnall. Michael Smith, James Wade, Ian White, Raymond van Barneveld, Gerwyn Price, Darren Webster, Joe Cullen and Adrian Lewis will also all be present due their placings on the PDC Order of Merit. Elsewhere, European Tour winner Jonny Clayton heads up the sixteen ProTour Order of Merit qualifiers and will be making his Dublin debut joined by Max Hopp, Jermaine Wattimena, Steve Lennon, Danny Noppert, Ricky Evans, Josh Payne, Jeffrey de Zwaan and Ron Meulenkamp. Also present will be former World Grand Prix finalist Mervyn King plus Steve Beaton and Stephen Bunting, while James Wilson, Steve West, Kim Huybrechts and John Henderson complete the field. The World Grand Prix features a sets format and a unique “double-start” rule, which means players must both begin AND end every leg with a double throughout the entire event. The world’s eight best players head to Brighton this weekend for the third ever Champions League of Darts. This year’s tourney is a new event for Brighton, having replaced Cardiff which hosted the previous two events in 2016 and 2017. And it was in the Welsh capital a year ago that Mensur Suljovic broke his PDC title duck as he defied pre-tournament odds of 40/1 to take down the tournament, his first ever major televised title. One year earlier, the inaugural event in 2016 out to be one of the final tournament wins of Phil Taylor’s illustrious career. This year, the Champions League — the only PDC event to be shown on the BBC — brings the likes of Michael van Gerwen, Gary Anderson and World Champion Rob Cross together as they all attempt to lift the trophy for the first time at the Brighton Centre. Arrows will be in the air from 13:15 this Saturday with the event drawing to a close on Sunday night. The top seven players in the world are all guaranteed to play, as is the defending champion, Mensur Suljovic, who already had a guaranteed place courtesy of being ranked in the top seven, allowing a spot to open up for the world number eight Dave Chisnall. The winners — and losers for that matter — of the afternoon session meet in the evening session. The remaining group stage fixtures are played on Sunday afternoon with the semi-finals and final in the Sunday evening. As ever, Michael van Gerwen is the favourite but this talent-filled round-robin event should provide plenty of upsets. That said, Mighty Mike’s short price of 5/6 at Betway is no surprise given that the Dutchman performs well in this type of shoot-out event and has enjoyed another bumper season. In fact, the most surprising thing about MVG in this event is that he is still yet to win it. Does this make him even more dangerous this year? Possibly. In contrast, world number two Peter Wright — 15/8 to top Group B — has had a torrid season, which is why Betway have let his price for the overall win drift out to 15/2. That is still an attractive offer, considering Snakebite is reckoned to be the second best player in the world. 10/11 is the price for any member of the field to win that isn’t named Michael van Gerwen. Personally, my own money will be going on Gary ‘The Flying Scotsman’ Anderson given we have seen fleeting moments of his brilliant best this season. Anderson has been drawn in the same group as MVG and the two are priced at 5/2 and 4/11 to win their groups, respectively. But, if like me, you are looking to back Anderson for an outright victory then 4/1 are the magic numbers you are looking for. Reigning champion Mensur Suljovic has been priced at a tasty looking 10/1 for a repeat victory, while those that predict Rob Cross to make another surprise win will be pleased to see Betway value him at 11/2. Bringing up the field are Daryl Gurney, Dave Chisnall, both 33/1, and Simon Whitlock, who is ranked as a 50/1 shot. 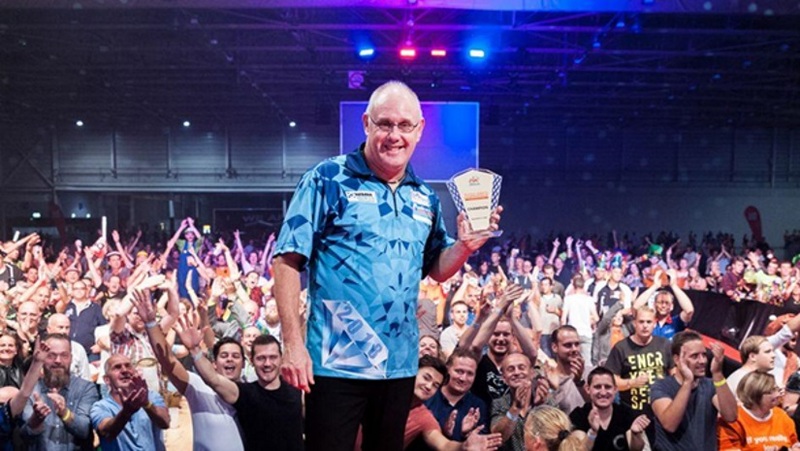 Darts fans were treated to a surprise winner last week when Ian White won his first ever PDC European Tour title at the MECC in Maastricht. In doing so, he beat another surprise package, world number 56 Ricky Evans, by winning 8-5 in the Dutch Darts Championship final. The 48-year-old from Stoke, ranked 13th in the world, had already recorded a superb triumph over Peter Wright in the last four and went on to average a mere 89 in the final. Despite the low average, it proved to be enough as he made the most of Evans’ 13 missed doubles from 18 shots. Amazingly, White’s win was also recorded six years to the day since he reached his first European Tour final in 2012. In that match, he lost in the final of the German Darts Masters 6-3 to Adrian ‘Jackpot’ Lewis, but this time he was determined to get the win. Playing in his 63rd European Tour event, White began his road to the final with a 102.26 average in a 6-4 victory over Arron Monk before reaching the quarter-finals, courtesy of an outstanding 6-2 victory over Mervyn King. He then moved on to get his revenge over the two-time World Champion and fellow potter Adrian Lewis in the quarter-finals before successfully getting the better of Snakebite in the semis. 28-year-old Ricky ‘Rapid’ Evans’ brilliant run to his first PDC ranking final — his first in nearly five years — saw him record impressive victories over Jan Dekker, Steve West, William O’Connor, Joe Cullen and Ritchie Edhouse, before his meet-up with ‘Diamond’ White in the final. He also established himself as a firm crowd favourite thanks to his ‘Baby Shark’-inspired walk-on music. Once there, both players made a strong start with White scoring first thanks to a 14-dart hold of throw. Evans responded in kind by duly hitting back with a 13-darter. From there, he grew stronger, recording the first break of the match to go 2-1 up, only for White to hit straight back with an 11-darter to level the score. The game continued with serve for the next few legs until White’s 14-darter cracked his rival and opened up a two-leg advantage for the first time. Evans then took out a double 16 with his last dart to break throw and keep the game alive. It wasn’t to last long, however, as White immediately broke back before holding throw to move within a leg of victory, which came two legs later after he pinned tops for the title. For White, that meant that he has now won 10 PDC titles in total. Elsewhere, William O’Connor inflicted world number one Michael van Gerwen’s first Last 32 exit in Europe in almost three years when he somehow beat the world number one 6-1. The 2019 PDC calendar has now been published and it includes over 200 days of darts. Highlights include an expanded Darts Premier League, which now stretches to 17 nights and includes doubleheader in Rotterdam. This year’s UK Open format has been tweaked to include 128 Tour Card Holders, 16 Challenge Tour Order of Merit Qualifiers plus 16 Rileys Amateur Qualifiers. The Rileys Qualifiers were the same route taken by current World Champion Rob Cross when he turned professional before stunning the world last January. Prague will join the list of European Tour hosts alongside established destinations in Germany, the Netherlands, Gibraltar and Austria. Following a successful inaugural event in Copenhagen, the European Tour will be returning to Denmark for the second time. Amsterdam will also be hosting a PDC televised event for the first time. Next year’s World Cup of Darts will take place in Hamburg, while Blackpool’s World Matchplay retains its traditional date in late July. In the autumn of 2019, the Darts Champions League and the European Championship will follow the World Grand Prix. The Grand Slam of Darts will then be held in Wolverhampton before the Players Championship Finals in Minehead in November. Finally, the World Darts Championship will close the season out over the Christmas holidays, although no starting date has yet been announced.